Pero, ¿qué es el mandato SEPA? 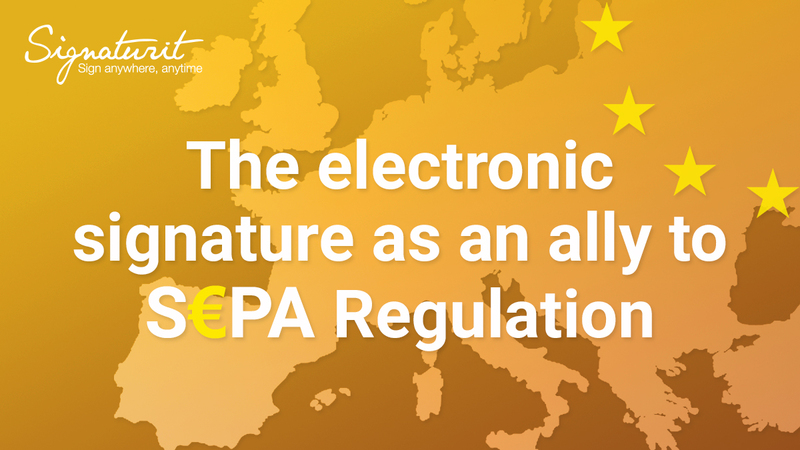 Thanks to the SEPA regulations, customers or consumers, whether individuals or legal entities, can make payments in any of the 34 countries in the SEPA area: the 28 EU member states, plus Iceland, Liechtenstein, Norway, Monaco, San Marino and Switzerland. ⦁ Direct debits. Includes both one-off and recurring payments. They are used either for national payments or for cross-border payments in any of the countries in the geographical scope of the SEPA area. ⦁ Cards that are valid in a country in the SEPA area can be used to pay with and to take out cash in the entire SEPA area, as easily as when they are used in their home country. According to what is provided for in the characteristics of the SEPA B2B direct debit instrument, before debiting the account, the credit institution or company must obtain the payer's authorisation through the signing of this direct debit mandate. The SEPA mandate document, which is issued in the payer's language, must be signed. With their signature, the payer authorises the biller to send instructions to the payer's entity to debit their account and also to the entity to go through with debiting their account following the biller's instructions. 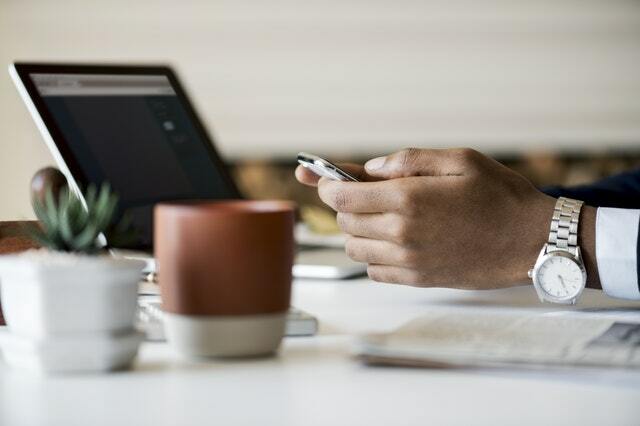 The entity can decide the way in which they will approach their client to obtain authorisation, through a traditional paper process or managing it online. Regulation (EU) 260/2012, the European regulation that establishes technical and business requirements for credit transfers and direct debits in euros, began to be deployed in 2014, in order to harmonise and streamline payment systems, as we have already mentioned. It seems logical that the next step was to push for these mandates to be digital and to discourage the use of paper. Up until now, it was most common for the mandates to be signed on paper and then digitalised. If you have recently changed electricity companies, the new provider most likely sent you this document or made it available to you for download, and you returned it signed in order to formalise the change, together with the services agreement. But the truth is that while this prior acceptance can be done with a physical signature, it can also be done with the electronic signature. Both types of signatures have the same legal validity, but are not the same in terms of agility and efficiency. 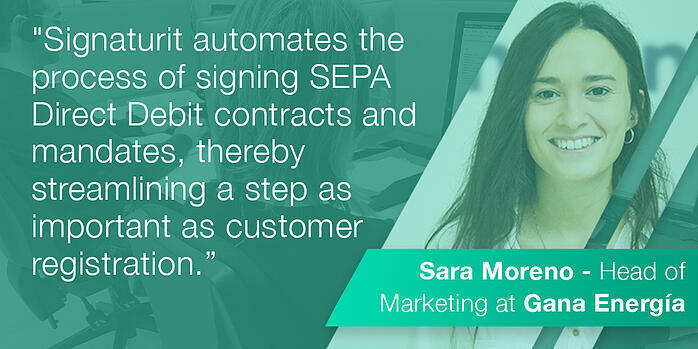 To this end, the most innovative companies in all sectors are committed to the digitalisation of this process, such as Gana Energía, thanks to Signaturit's electronic signature, which in addition to complying with the maximum legal guarantees, allows them to offer their users a comfortable service by facilitating the process. The mandate is the evidence that a biller needs in order to be able to charge a company a certain amount each month for an electricity service, following the example of Gana Energía. And if a payer (company receiving the service) denies having authorised a debit or argues that the signed mandate is not valid because it does not meet a certain requirement, they can request a refund for lack of consent. And they have up to 13 months to do so. Therefore, both the European Payments Council (EPC) -driving force behind the SEPA schemes- and other banking authorities, are placing an emphasis on the risks that the biller assumes in the event that they cannot prove the use of a legally-recognised signature. If one day there is a claim from a customer for non-authorisation, the greater the strength of the evidence, the lower the risk of not getting paid, therefore you must go with an electronic signature provider that meets all requirements and regulations in force on the matter, thus adding an extra layer of security to the process. In the case of Gana Energía, it was precisely the legal guarantees of our advanced electronic signature solution that motivated them to choose us as their providers for this trust service, for which we are certified by the Ministry of Economy and Business. Thanks to Gana Energía's integration via API with Signaturit, their clients can quickly and easily sign documents, and they receive the copy of the signed document along with an audit trail with the evidence of the transaction generated during the signature process. Since 2014, many of the barriers that existed in making the Digital Single Market effective have been eliminated. One of these steps has been the digitalisation of the SEPA mandates and their authorisation through the electronic signature. This has resulted in significant savings in terms of costs and time for both users and companies alike. If, in the past, this process was much longer and more tedious, seeing how this authorisation had to be signed on paper and sent back to the corresponding company to be validated, assuming there were no other setbacks in the best of cases, now this 'electronic signature' method allows this process to be shortened and facilitated with the same level of security. If your company is affected by this, and also you want the SEPA regulations to be a synonym for growth and not merely problems, please get in touch with us through the following form, or call us directly on +34 93 551 14 80 and comply with this legislation using the ideal solution.